Yay – It’s March 1st.. You know what that means? 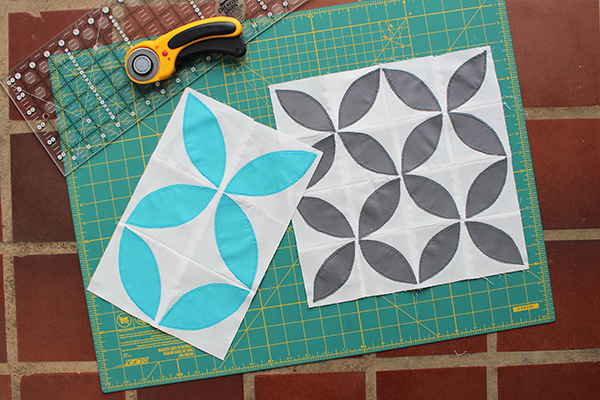 It’s month #2 of the Bella Skill Builder Quilt Along hosted by The Fat Quarter Shop. Are you following along? Did you make your blocks last month? Last month was the Kaleidoscope block and this month it is the Orange Peel block. You will make 3 blocks this month. See only 2 blocks? I’ve been dealing with the flu, pink eye, ear aches and the everything in between. I rushed this month and let’s just say I’m a tad behind. The Bella Solids that I used this month – graphite, chill, melon and white. I love this combination. You can find the blocks and instructions over at the Jolly Jabber. 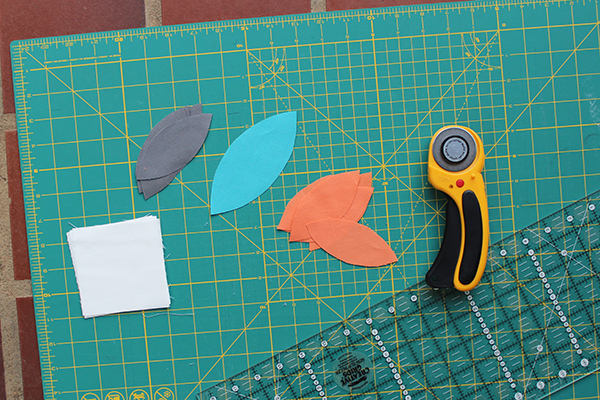 It’s a free PDF download which includes the orange peel templates. I chose to raw edge appliqué. Scared to appliqué? Want to try a different technique? Check the Jolly Jabber Bella Skillbuilder Month 2 post – they share a few You Tube videos that will walk you through the steps. This is a fun block. It may test your skills, but that’s what I love about Quilt Alongs. I always learn something new. 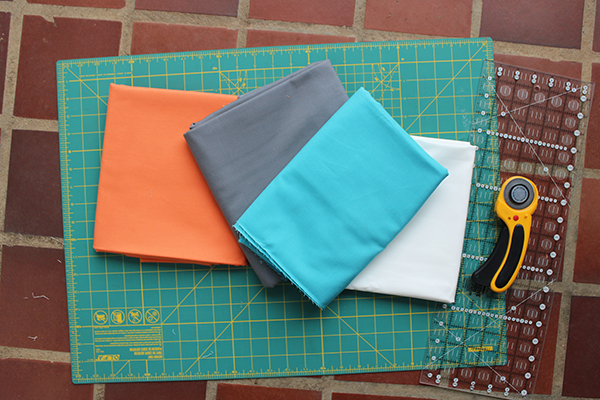 This month, I promise you will learn a ton about quilting, sewing and even yourself. I procrastinated with this block and had to play catch up. I knew better, but I “eyeballed” the placement of the orange peel units. While the blocks turned out ok, they aren’t perfect. I’m letting it slide this time around. A solution is to try the Orange Peel Impressions Templates. 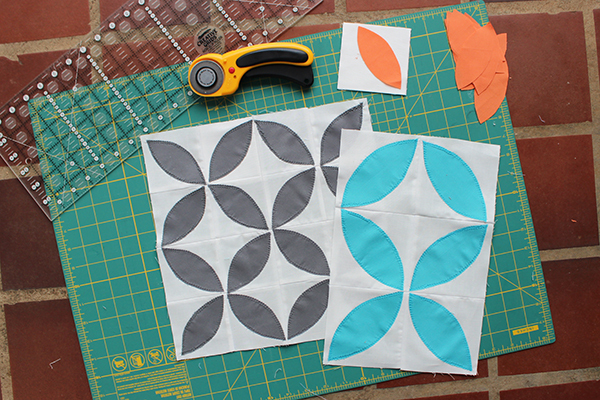 The template set comes with 4 sizes, plus a handy placement guide. Thats it for today. Happy sewing.